Peering from the window of my local train as it approached Paddington station early one spring Saturday, I found ‘Western’ C-C Class 52 No. D1058 Western Nobleman picture-perfectly framed, protruding from underneath the canopy of platform 1, resplendent in maroon livery that sparkled against the strengthening morning sunshine. But this was not 1976, the last full year before its withdrawal; it was 2016. (a coincidental name-share with ‘Western’ D1001!). I must admit to being ambivalent towards the modern trend of locomotives running under assumed characters, but it does, somewhat inexplicably, freshen the scene. 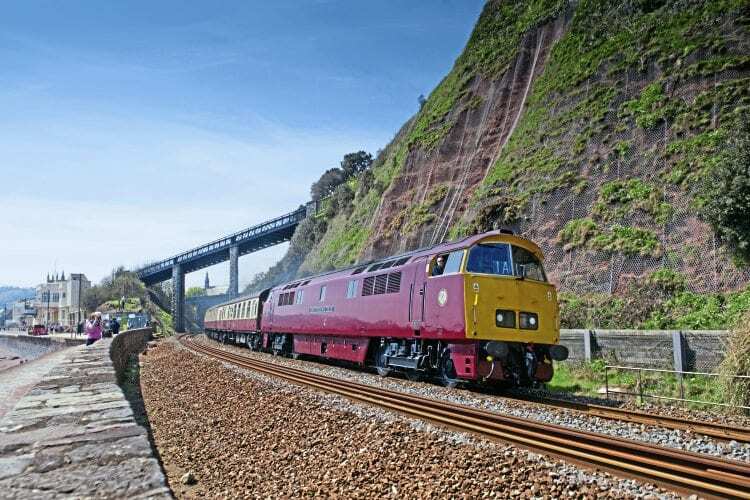 It is worrying that future generations might be unable to disentangle the resultant confusion – but when one hears that the preservationist-owning Diesel Traction Group makes a substantial profit from the process my misgivings are overcome. In an imaginative fund-raising idea, individual sponsors can choose which Class 52 they would like to commemorate in this fashion and then keep the replica number and nameplate after the event. However, for the sake of our potentially perplexed descendants, I will use D1015 Western Champion from this point in the present-day narrative.